In order to make Cross Domain calls in Silverlight 2 applications, the server you wish to download data from must have a Policy File in place that allows access to your site. 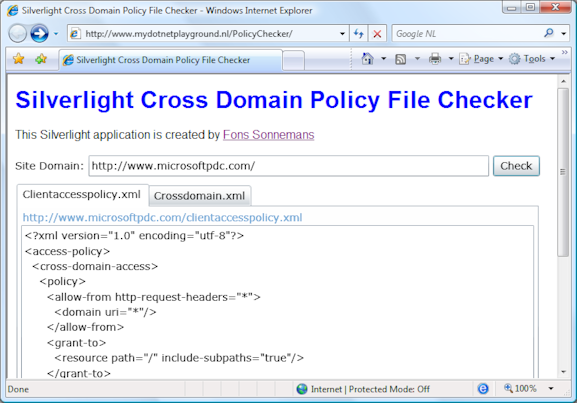 I have created a Silverlight Application in which you can check the content of the Policy Files (if exists). Dit is mijn eerste Silverlight 2 instructie video. In deze video toon ik hoe je een eenvoudige Hello World applicatie kunt opzetten met behulp van Silverlight 2 (RC0) en Visual Studio 2008 met Service Pack 1. Download de HelloWorld.zip sourcecode. Zorg er wel voor dat je alle benodigde software geinstalleerd hebt. On June 17, I did two sessions on the Hot Technologies Day for Achmea (Interpolis) in Tilburg. 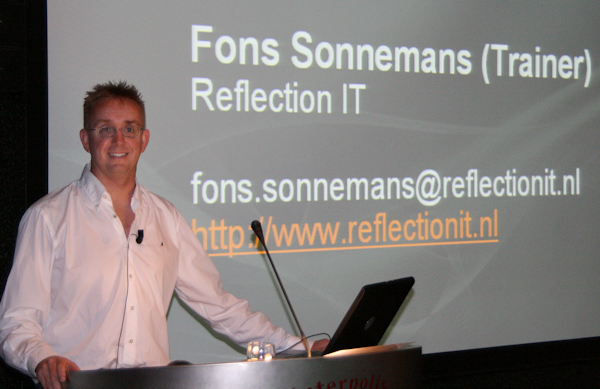 I have given many trainings (C#, ASP.NET 2.0, AJAX, SQL2005, VS2008) at Achmea the last year. It is a very innovative company and very fun to work for. 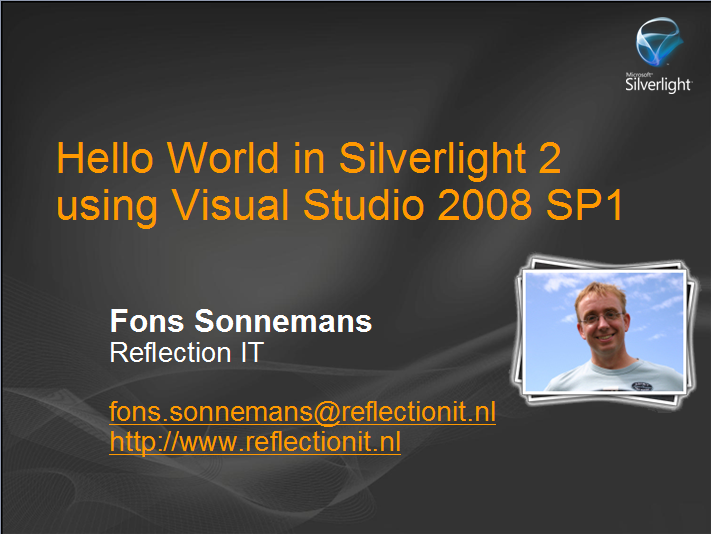 In the Silverlight 2 session I gave an overview of Silverlight 2 Beta 2. You can download the slide deck here. In the LINQ + Entity Framework session I gave an overview of C# 3.0, LINQ, LINQ to SQL and Entity Framework. You can download the slide deck here. Bidirectional associations are easy to design but difficult to program. 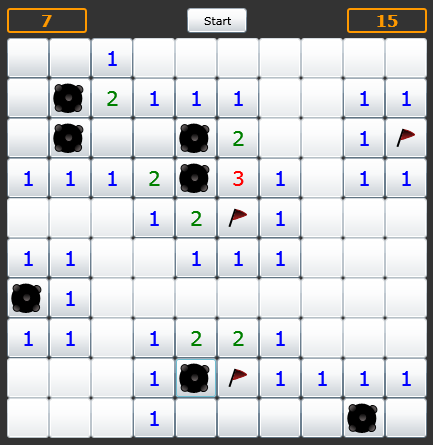 You must write lot's of synchronization code with the risk of making mistakes. Have a look at the following example in which there is a bidirectional association between Employee (Employer) and Company (Employees). The synchronization code is implemented in the AddEmployee(), RemoveEmployee() and the (Set)Employer methods.